More than 56 million women were not of the U.S. labor force last month, according to new government data released Friday. The Bureau of Labor Statistics reports that 56,647,000 women, ages 16 and older during the month of September were neither employed nor had made specific efforts to find work in the past four weeks. The number of women not participating in the workforce was up 394,000 from August, when 56,253,000 women were out of the workforce. National numbers of people not participating in the work force experienced a similar trend, increasing in September to a record 94,610,000 Americans — both men and women — out of the labor force. Additionally the number of women in the civilian labor force declined from August’s level of 73,593,000 women to 73,313,000 women. The labor force participation rate among women in September was 53.6 percent, down 0.2 percent from August. For those women participating in the workforce 69,665,000 had jobs and 3,648,000 were unemployed. The unemployment rate for women was 5.0. 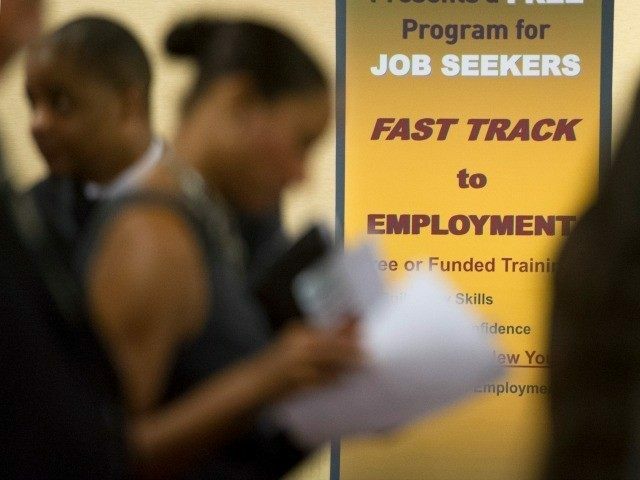 Nationally for men and women in September, the unemployment rate remained at 5.1 percent.